#loveyourHD : Wright-Dunbar Neighborhood – RBCoYP! The YOP is passionate about preserving and celebrating Ohio’s history. Each month, the YOP blog will shine a spotlight on one of Ohio’s many great, historic neighborhoods. First up: The Wright-Dunbar neighborhood in west Dayton. 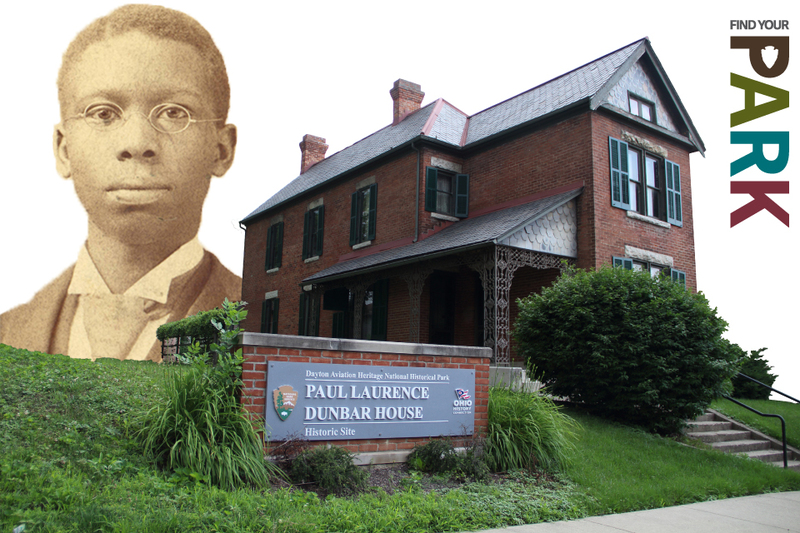 “Best known as the home of Paul Laurence Dunbar and Orville and Wilbur Wright, the Wright-Dunbar Village developed as a Dayton streetcar suburb in the half century following the civil war, and it was annexed to the city of Dayton in 1869. The area includes a residential neighborhood and the Wright Dunbar Business Village, also known as the West Third Street Historic District. In the late 1890’s, Wright-Dunbar became home to a diverse urban population, including Hungarians, Romanians and Eastern Europeans of the West Side Colony. These workers came to work in Dayton factories and formed a tight community with a host of businesses, churches, and social organizations to meet their needs. Connected to the city by five streetcar lines, it attracted increasing numbers of middle class residents who left the old city center to reside in the new western suburb. In the years following World War I, the area emerged as the cultural and commercial center of Dayton’s African-American community. African American-owned businesses, such as the Palace Theater, built a strong African-American community. The population shifted in this area in the years after the war and there was a widespread movement of African Americans from the South to the “Industrial North”. Housing segregation also brought many African-American residents to West Dayton. The destruction of residences and businesses resulting from the construction of Interstate 75 in the early 1960’s and later by U.S. Route 35 had a devastating effect on many neighborhoods but most notably on the West Dayton commercial districts. The face and character of the area changed even more drastically on September 1, 1966, when racial disturbances broke out in the commercial district. This single event further contributed to a pattern of disinvestment in the neighborhood. Although a large portion of the area was lost in the 1950’s and 1960’s to interstate construction, urban renewal, and civil unrest, the remaining structures in Wright-Dunbar Village are experiencing a period of revitalization. Innovative housing strategies by the city of Dayton, combined with Dayton Aviation Heritage National Historical Park and the work of Wright-Dunbar, Inc. have assisted in creating a viable urban neighborhood and a resource for Dayton history.